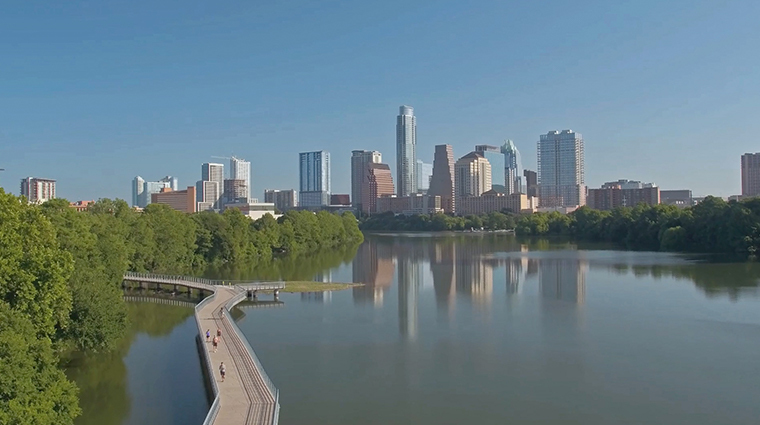 Consistently topping "best places to live” and “greenest city in America” lists, Austin has experienced a population boom in recent years thanks in part to its strong high-technology industry, diverse cultural scene, laid-back and friendly vibe, great weather and favorable reputation for outdoor sports. The self-proclaimed “Live Music Capital of the World,” Austin celebrates music at venues citywide. It hosts Austin City Limits, the longest-running live concert music program on American television and annual festival, and South by Southwest, a wildly popular film and music fest. Dining also puts Austin on the map, with some of the country’s best Tex-Mex and Southwestern-influenced fare created here by the city’s finest chefs. The dress code at most restaurants is decidedly relaxed — jeans can be worn just about everywhere. This attitude is no doubt what attracts celebrities such as Lance Armstrong, Matthew McConaughey and Sandra Bullock, all of whom call Austin home.